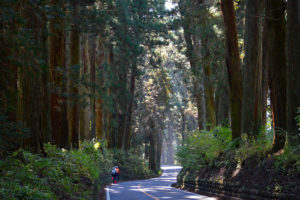 Cedar Avenue of Nikko has an unique ambiance of the ancient times, that we awaken to the spectacle of Nikko-San’s pilgrimage road in ancient times is. In Tochigi prefecture’s Northwestern bureau, Nantaisan, Nyohosan mountains, or Nikko mountain range, all of these many mountains are sacred this is how Nikko’s shrines and temples started. To place Lake Chuzenji at the center, the heart of Nikko’s nature, Kinugawa river onsen, beginning there at the river basin, scattered with a cluster of onsen region, it has, this is the area. Taking the Tobu Line Express, it is 2 hours from Asakusa, then make Kinugawa onsen the base point, get there by way of Shiobara Onsen or the Nasu area, go northward, Minami Aizu in Fukushima area, put all these together and you can have the most fun. There is even a proverb that goes “There is no splendid without seeing Nikko”- it is worth noting that, the area is rich in pleasure and joy. Nikko Toshogu Shrine, Futara san Shrine, and Rinno-ji Temple, these three World Heritage Site shrine and temple with traditional structure must be the attractive destination place for those who love history. 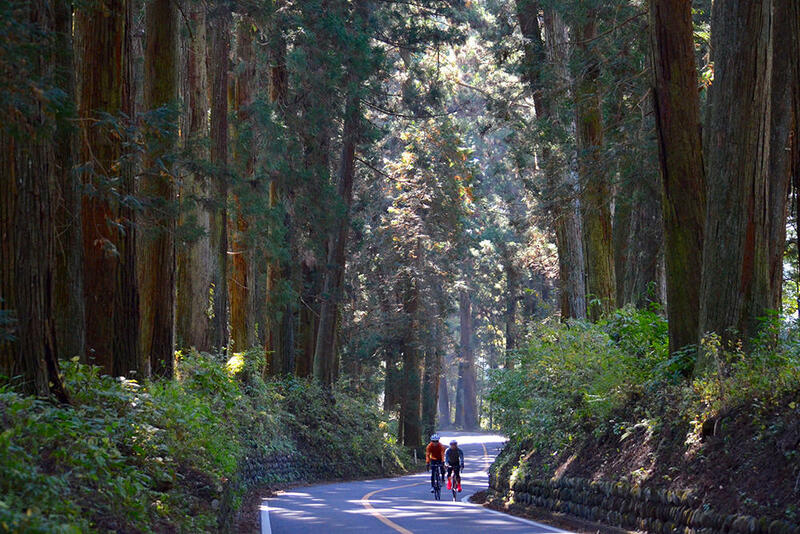 Developed as a pilgrimage road to these shrines and temples, leave intact the ambience of the antiquated classic Nikko-San, “Cedar Avenue of Nikko” it is something you want to try riding on your bicycle once in your lifetime. It is in the Guinness Book of World Records as the world’s longest cedar tree-lined avenue. Furthermore, from a cyclist perspective, Nikko anyway, the meandering slopes of the Irohazaka Route. Irohazaka’s incline is, “The #2 Irohazaka”, down slope “The #1 Irohazaka” they are divided and one-way traffic, the climb has 20 places (from the Japanese alphabet letters “I” to “Ne”), the down slope has 28 places (“Na” to “Nn”), each with an indicated sign next to the curb is provided. In the environs of Lake Chuzenji there are also many places worthy of mentioning. Be it a waterfall, Kegon Falls which can be counted as one of Japan’s three famous waterfalls, for example apart from that there is Ryuzu Falls, or Yutaki Falls. The end of senjogahara, Sanno Forest road, the Oku-Kinu super woodland path- at the entrance of these is Kotoku ranch, there is a what is popular for a replenish and refresh break spot. From Kawamata Onsen also called Oku-Kinu, run upstream alongside the Kinugawa river where there is little traffic, quiet, with a gentle incline, a comfortable and pleasant road passes. Kinugawa Onsen is a high quality onsen that heals after ride fatigue. 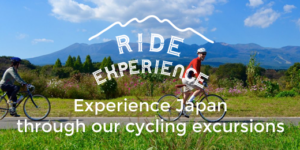 It is conveniently accessed and there are a variety of routes to take, and can be considered a good location have fun as a cyclist in Nikko. This is the sacred bridge of Futarasan Shrine called “Shinkyo Bridge” that crosses the Otani River and divides the sacred area from town area. Nikko Toshogu Shrine neighborhood and the backroads, if you go visit the area through there, see the landscape overflowing with atmosphere is before you. 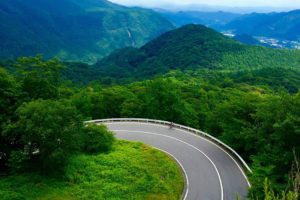 The curves of Irohazaka Route. There are 20 climb places, and 28 places downhill. The photo is taken of the downhill. Kegon Falls has a free waterfall viewing deck and its special feature, an admission-paid elevator where you can get up close to the fall and experience the grandiosity. Sanno Forest Road which connects Senjogahara to Kawamata Onsen (Oku-Kinu), is a lovely forest road with sunlight filtering in through the road. 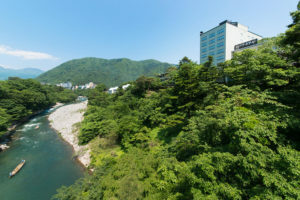 There is a road along the ravine of Kinugawa River with many hotels, traditional Japanese ryokans, and views, impressive Kinugawa Onsen, we recommend this as a base point for cyclists coming to Nikko.